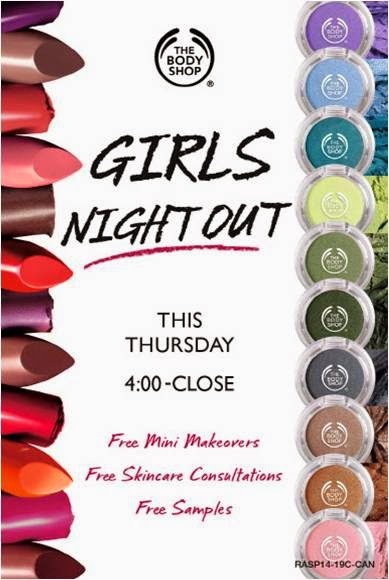 Get your LYB card and wallet ready, The Body Shop is hosting a Girls Night Out event in all Canadian stores on Thursday (July 17), 4pm till close! - Instablur (reg. $22), Instablur Eye (reg. $15), Vitamin E Aqua Boost Sorbet (reg. 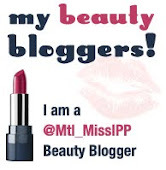 $20) and Tea Tree BB cream (reg. $15): for LYB members. Free mini makeovers are available with appointment, so call up your location :) If you aren't a LYB member yet, you can get a free Japanese Cherry Blossom bundle when signing up ($10 membership fee). 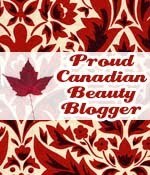 To celebrate this event the Sparkled Beauty style, all Canadian readers/ twitter followers can enter to win a $100 Summer Must-have prize pack from The Body Shop by tweeting a picture of themselves at the event with #TheBodyShopGNO @TheBodyShopCA and @Sparkled_Beauty.